There are two ways in which a site can be affected by these updates: a Manual Action or an Algorithmic Penalty. 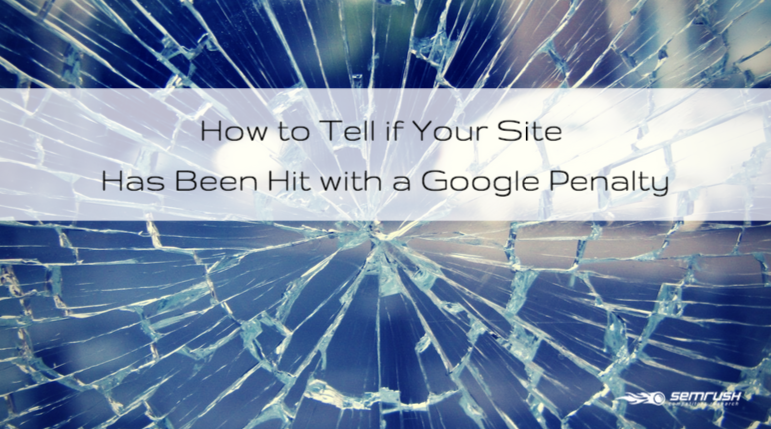 If you have access to Google Analytics, you are in luck. There are tools that can help you. My favorite is a paid tool called Fruition Google Penalty Checker. You grant the tool access to your Google Analytics account, and it will make a graph of all the penalties, and give you a percentage of the chance that it affected your site. Another tool that works well (and is free!) is called Barracuda. It works the same way as Fruition does. You grant the tool access to Google Analytics and it produces a pretty graph that highlights the updates. This tool does not give you the likelihood of the update affecting your site like Fruition does, which in my opinion, is well worth the cost. Both of these tools are great and far superior to simply looking at your traffic and checking the update list. If you do not have access to Google Analytics or Webmaster Tools, which is often the case for me, you can still get a good idea of what update caused the traffic drop using a traffic estimator tool like SEMrush. Using this tool, you can see drops in traffic and then correlate the month the traffic dropped to a penalty using MOZ’s Google Algorithm Change History. While getting out of an algorithmic penalty is much easier than a manual penalty, it is no walk in the park. By determining what update affected your site, you can find the cause, then correct it. 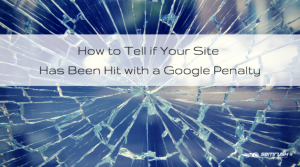 Most of these penalties are data based, so if you can get your site below the threshold set by the search engine, you should be able to rank well again. Getting hit with a Google Penalty is no fun. Whether it is a manual or algorithmic penalty, the consequences can cost time and money. While figuring out if and why you have a penalty is doable, getting out of the penalty is another story entirely.